Dunkin Brands could use that Box O' Joe right about now. The owner of Dunkin' Donuts said in its latest earnings report Thursday that U.S. sales were weaker than expected and that international consumers weren't enjoying its Baskin-Robbins ice cream as much. Dunkin's Baskin-Robbins joint venture in Japan was hit particularly hard. The company also played the weather card, blaming "unseasonably cold, rainy start to the spring season," early in the quarter. As a result, Dunkin' Brands (DNKN) lowered its sales and profit outlook for the year. The stock fell more than 4%. 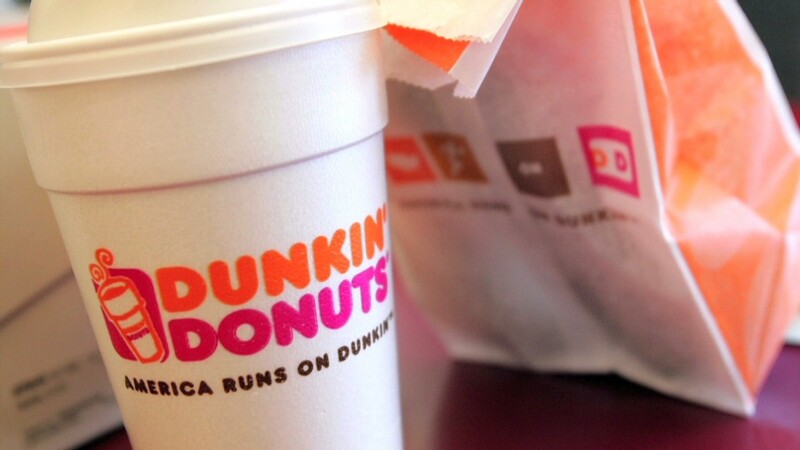 Dunkin's news follows a similarly weak forecast from rival Krispy Kreme (KKD) last month. Of course, Wall Street can be a tough crowd. Revenue, though lower than analysts forecast, increased 4.6% from the year earlier. Profits were also higher compared to the same period last year. And many of Dunkin's offerings are loved by consumers. The company reported sales growth in iced coffee, frozen beverages, and espresso. Promotions were also popular, such as when the company rolled out flower shaped donuts for National Donut Day in June. But Dunkin' faces stiff competition. The breakfast wars are heating up as McDonald's (MCD) and Yum! Brands (YUM)-owned Taco Bell have increased their early morning offerings. And then there's the king of coffee. Starbucks (SBUX) will report its latest quarterly results after the closing bell Thursday. Wall Street is predicting strong sales and earnings growth.